The GPU maker is locking certain functions on the Vega M platform that are otherwise commonly found on all other Vega GPUs including DirectX 12.1 support. In fact, the feature set of Vega M has more in common with the previous-generation Polaris platform rather than the current Vega family. The Hades Canyon NUC doesn't officially ship until later this month, but press reviews so far have been surprisingly positive about the overall performance of the mini PC. The Vega M GH GPU in particular is roughly on par with the GTX 1050 Ti and GTX 1060 Max-Q in most titles. If looking deeper under the hood, however, the underlying hardware may not be as clear-cut as AMD would like us to believe. 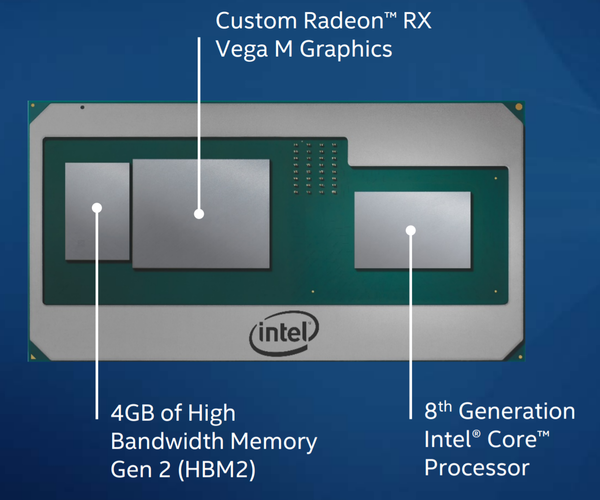 Both PC World and Tom's Hardware have dove into the specifics of the unique Radeon RX Vega M GH GPU in the Core i7-8809G of the Intel NUC and have found that the chip exhibits characteristics of both Polaris and Vega generations. More specifically, diagnostics tools like AIDA64 and HWiNFO recognize the Vega M GPU as belonging to the Polaris family with no support for DX 12.1, Next Generation Geometry (NGG), or Rapid Packed Math (RPM). 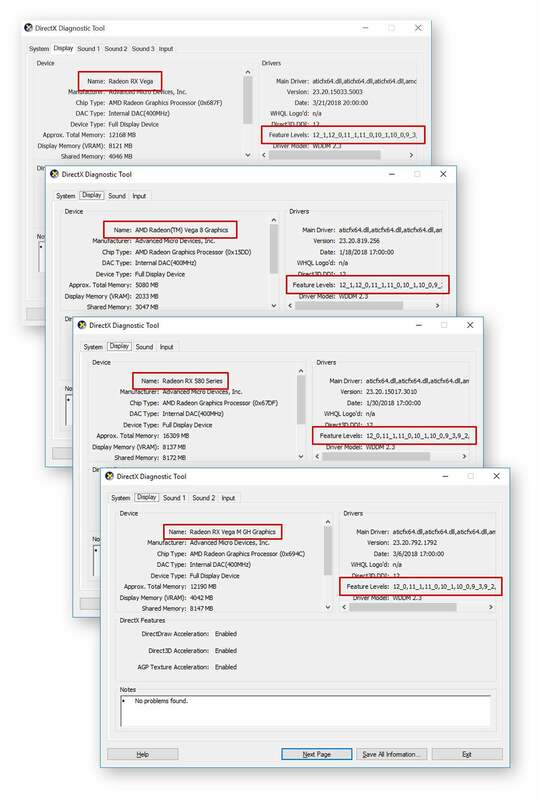 A Sandra FP16/FP32 test performed by Tom's Hardware confirms that these features are indeed missing or at least inactive on the Kaby Lake-G platform for the time being. The implications of a quietly omitted set of features are only minor for the mainstream gamer that the Kaby Lake-G platform is targeting, but enthusiasts are annoyed nonetheless. AMD has detailed in the past that the Vega platform would be compatible with DX 12.1 and so the Vega M GH should also be DX 12.1-compatible as it is explicitly a Vega GPU in the marketing material. If AMD is intentionally paring back "Vega M" features to distinguish it from the core "Vega" GPUs, then their differences ought to be made more explicit to avoid confusion and to appear more transparent for customers.